Women who want to get the "smoky eye" look with their make-up have been given expert advice. Triona McCarthy wrote an article in the Irish Independent explaining how to achieve the notoriously difficult look. She explained that women should first prepare their eyes with a concealer to hide shadows and put a tissue beneath them to catch eyeshadow powder as it falls. A small brush should then be used to apply dark colour to the root of the upper lashes, then across the eyelids. 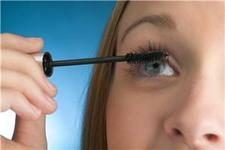 After blending, apply eyeliner under the lower lashes and at the upper ones, before putting on mascara. "The darkest part should always be nearest your lashes," Ms McCarthy urged, adding: "Then blend, blend and blend again!" Meanwhile, the Glasgow Daily Record carries advice for those wanting a paler look. Make-up artist Jemma Kidd said a current fashion is for a subtle look, with "clear gloss on the eyelids".